Updated Sept. 5, 2017, to reflect specification changes. 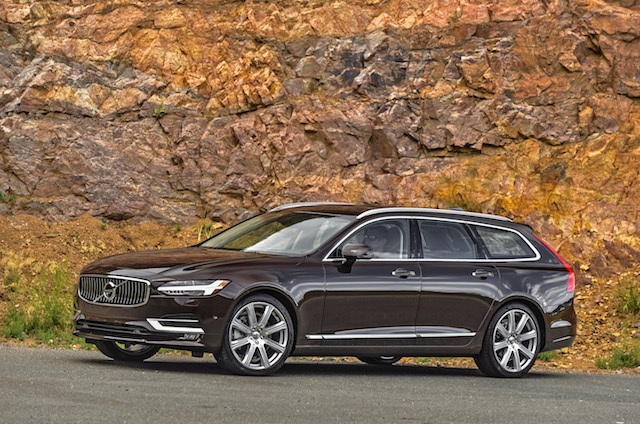 Volvo’s flagship sedan just got a few inches longer. 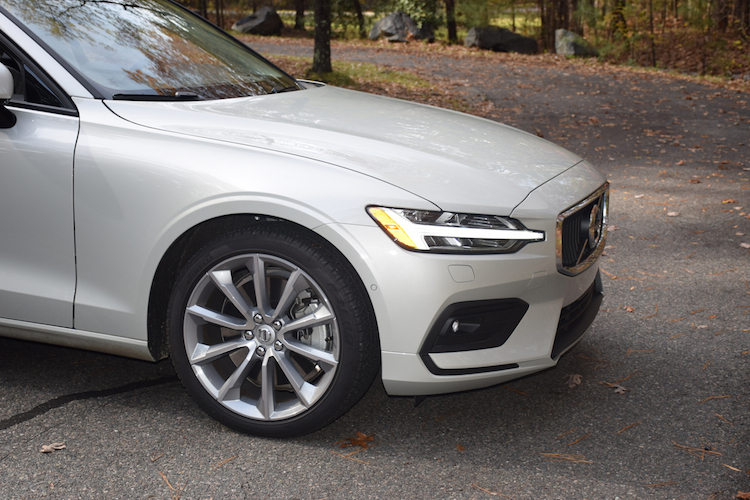 Volvo Cars continue to transition away from old platforms and powertrains, to new and updated models powered exclusively by four-cylinder gasoline engines, including some paired with electric motors. For 2018, several changes are evident, with most of the new vehicles already available in dealer showrooms. We’ll look at these changes, what they mean for consumers, and how the Swedish automaker stacks up against other premium brands. 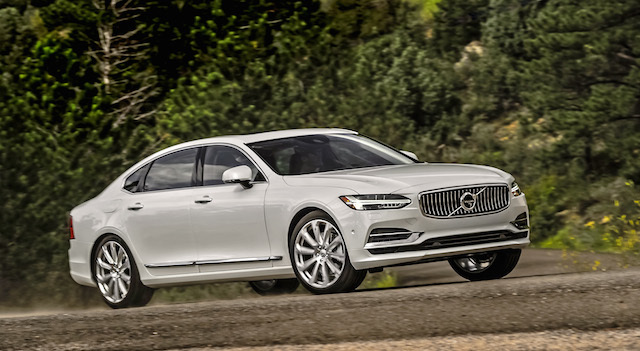 One year removed from its introduction, the large Volvo S90 sedan benefits from an important change. In particular, the stretched wheelbase version — not previously available in the United States and Canada — becomes the sole offering in both markets. What this means for passengers, especially people fortunate enough to sit in the rear seat, is excellent legroom. That space is now approaching what you would find in stretched wheelbase sedans from Audi, BMW, and Mercedes-Benz. What’s also noteworthy is that the starting price of the big Volvo is under $50,000. There are additional changes for 2018, including adding a rear window power sunshade, rear side window sunshades, rear passenger seat control (of the front passenger seat), and a luxury center armrest. A panoramic roof is now standard, an all-wheel drive option comes to the base model, and a T8 plug-in hybrid model joins the line. Check out my full review of the 2017 S90 to learn more. Volvo “T8” models are plug-in hybrids, such as the S90 T8. 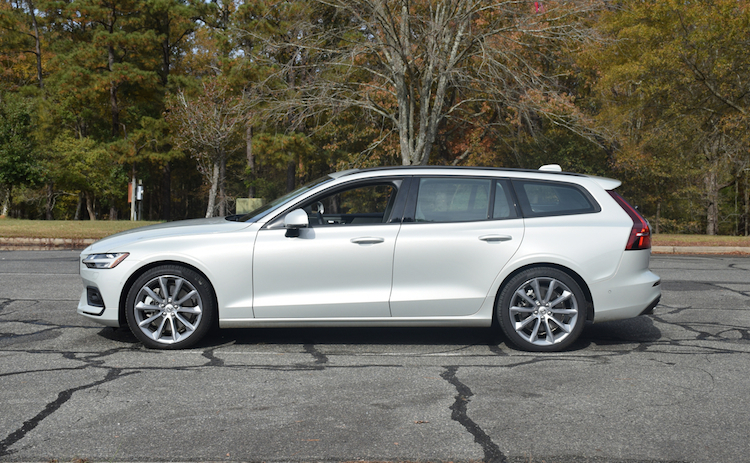 Wagon fans everywhere are rejoicing as the 2018 Volvo V90 and V90 Cross Country roll out. The new models are derived from the S90’s platform, but there are some differences with the specifications. 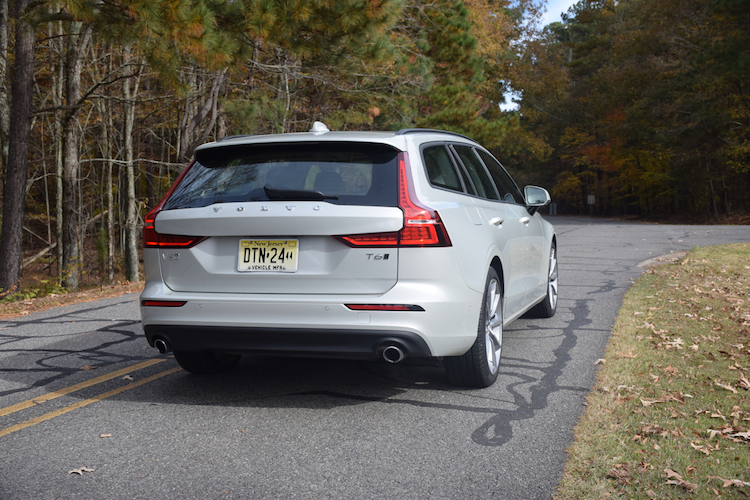 Just so you know, the difference between the V90 and V90 Cross Country is one inch. 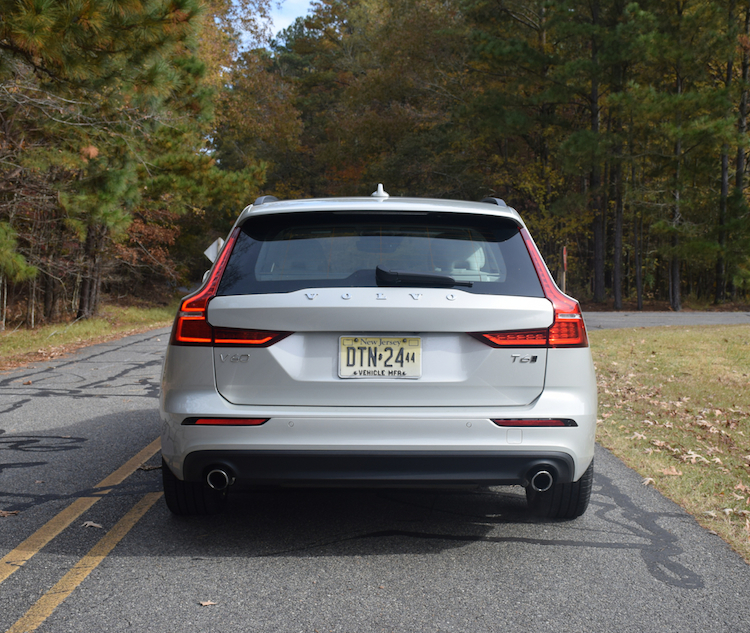 That is, the V90 CC has an extra inch of ground clearance for what Volvo says is meant for consumers who “pursue an active lifestyle.” Parsing the marketing language means little more than a slightly elevated presence — certainly not as tall as the similar XC90, but supplying slightly better sight lines than the standard model. If you can’t decide between a sedan and a crossover, there is always a wagon. No, you won’t attempt serious off-roading with this model either, as it doesn’t have true skid plates and other protective underbody gear, nor is there a transfer case present for low-range gearing. Gravel roads? Yes. Fording streams or climbing rocks? Not recommended. 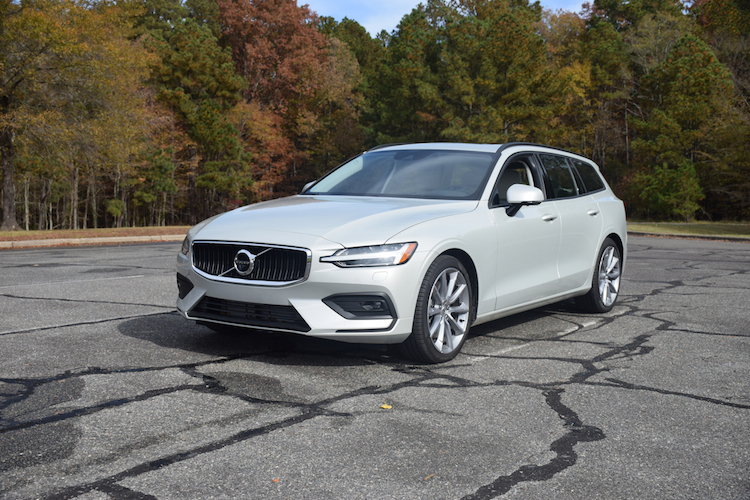 What may appeal to V90 shoppers regardless of which model they choose is the roomy cargo space behind the second-row seat — 69 cubic feet, to be precise. 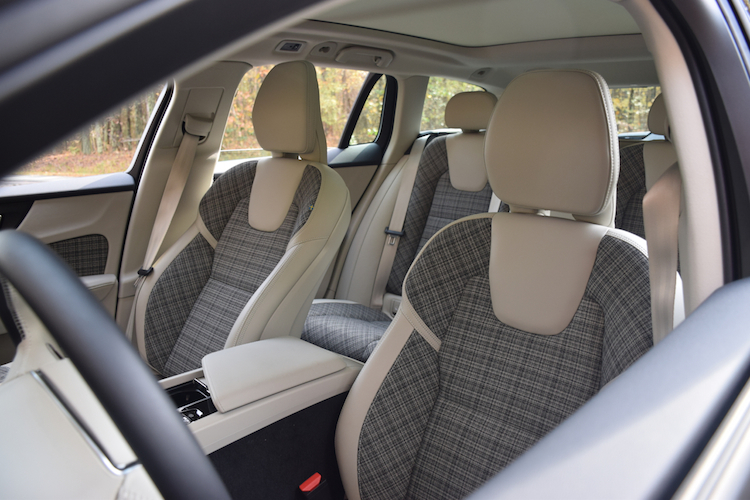 Fold down the second-row seat and that space extends further, although Volvo hasn’t released the measurements. The V90 is very similar to the standard wheelbase S90, at least in the passenger compartment. 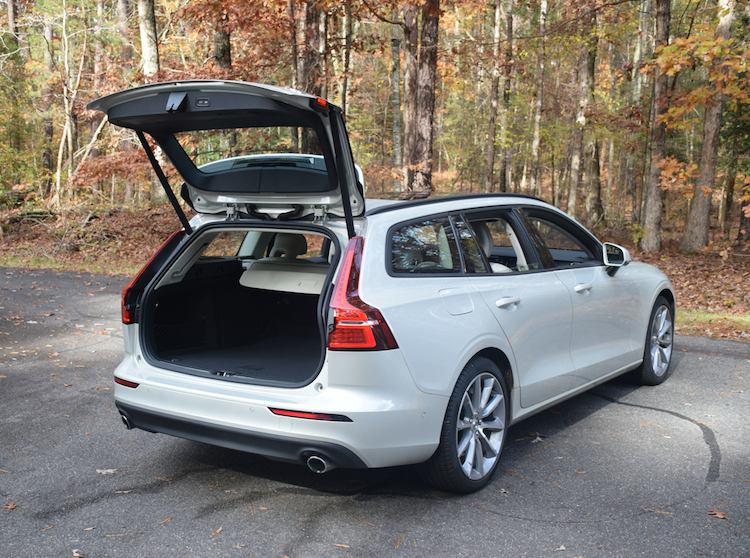 This means five can ride in comfort with the wagon supplying the cargo space some shoppers prefer, especially those who don’t want a crossover. 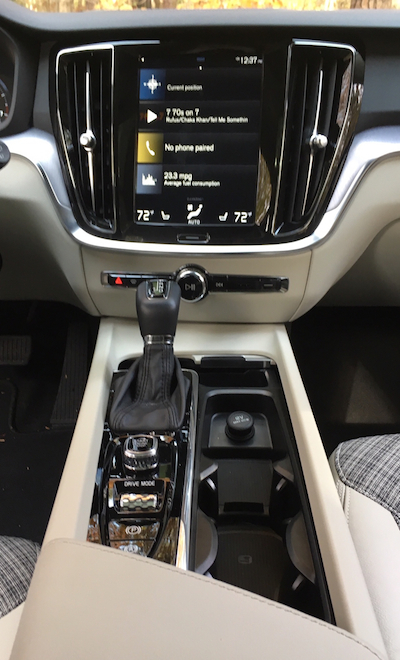 Thor’s hammer is evident on this 2018 Volvo XC60. The XC60 is a familiar name to Volvo fans, a small crossover introduced in 2010 (check this). 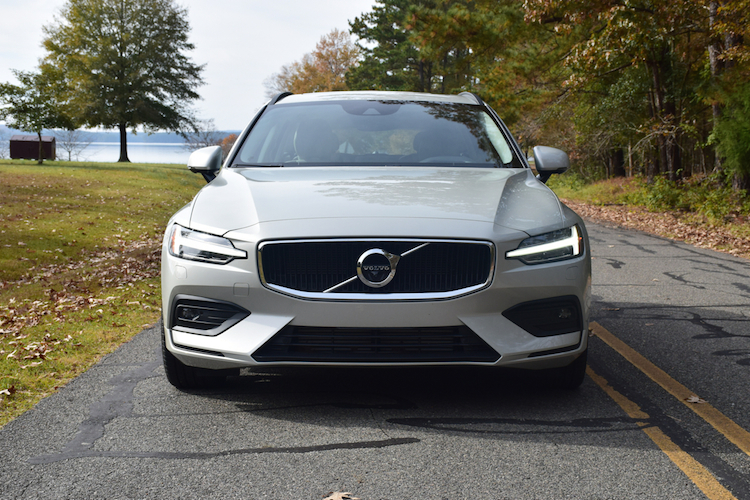 For 2018, the XC60 is all-new with improvements equaling what’s found in the very popular XC90. For starters, you’ll immediately notice the “Thor’s hammer” headlamp lighting treatments, current to all new Volvo models. The look accents a handsome, even aggressive nose, giving this Volvo a clean, polished appearance. Front to rear, the new XC60 appears more evocative than the previous model, with muscular wheel arches, pronounced body sculpting, and a slightly rising beltline. That beltline sweeps up at the end, drawing attention to the rear roof pillar. At the rear, you’ll find the expected angular tail lamps, sentry-like exclamation points on either side of the liftgate. Wheel choices include 19-, 20- and 21-inch alloy designs. All models have a panoramic moonroof with a power sunshade, integrated aluminum roof rails, power-controlled and heated side mirrors, and dual round tail lamps. A new Sensus infotainment system punctuates the XC60’s cabin. 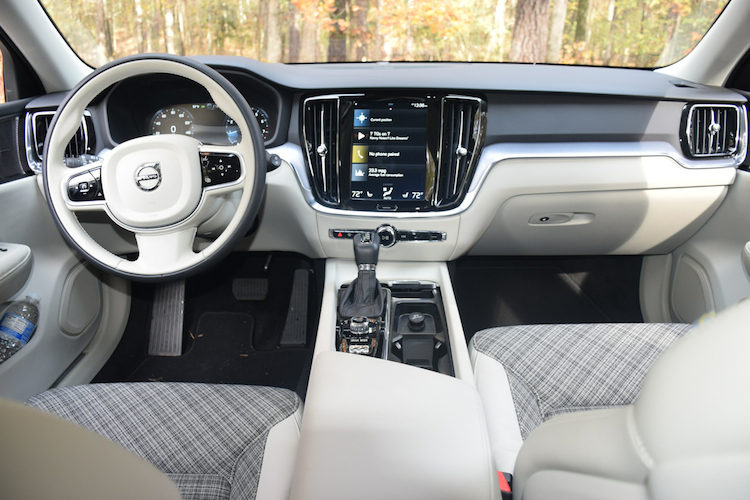 The XC60’s interior is beautifully laid out, with natural materials such as wood, leather, and metal used liberally throughout. 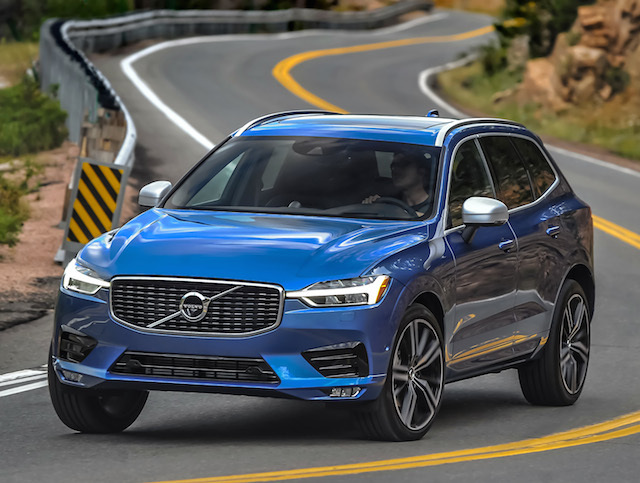 Great care was taken to craft a cabin that is both pleasing and luxurious, Clearly, the new XC60 successfully matches what its competitive set offers, namely the Audi Q5, BMW X3, Lexus NX, and Mercedes-Benz GLC. The standard equipment list is lengthy and includes a 12.3-inch digital drive instrument panel display with navigation, a 9-inch touchscreen display with Apple CarPlay and Android Auto, dual-zone climate control, and 10-way power front seats. 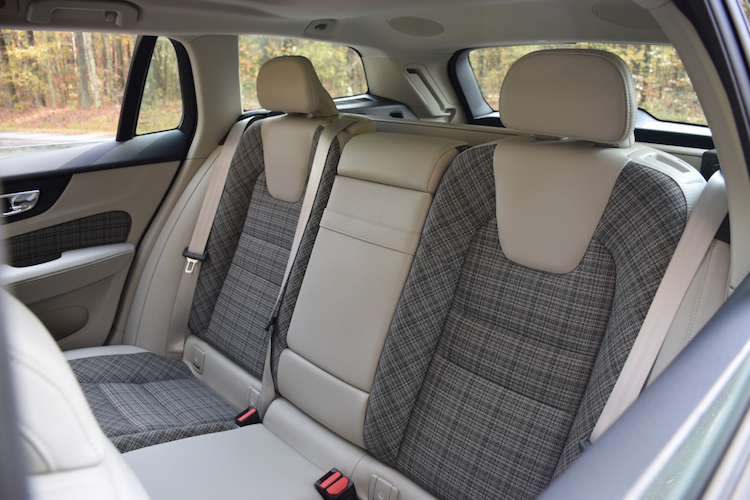 Customers may upgrade from standard leather seats to Nappa leather and driftwood inlays. For a price you can upgrade from the standard 10-speaker, 330-watt audio system to a 1,100-watt, 15-speaker Bowers and Wilkins audio system. What’s that price? How does $3,200 sound? Other upgrades include a convenience package ($2,000 or $2,200, depending on trim), an advanced package with upgraded lighting and head up display ($1,900). When all is said and done, figure that your final price will fall somewhere between $45,000 and $50,000. Choose the hybrid and you’ll pay a few thousand dollars more after taking an available $5,002 federal tax credit. Volvo invited automotive media to an event where the three models were showcased and available for driving. Company representatives indicated that Volvo is on track to reach where it needs to be, delivering new vehicles with updated technologies, state-of-the-art styling, and leading-edge safety features. We also learned that Volvo Cars is happy with its relationship with parent company Geely, a Chinese concern that’s given the company much free range. Some models now sold in the US are built in China, with the rest coming from Sweden or Belgium. Beginning in late 2018, the first US-made S60 models will roll off an assembly line in Berkeley County, South Carolina, northeast of Charleston. Some of those models will be exported to China. 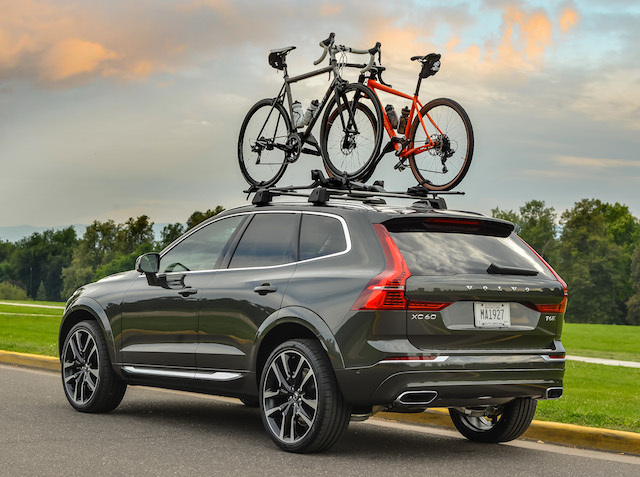 Volvo’s fleet targets “active lifestyle” adults and families. As for consumers — the ultimate decider of Volvo’s success — they’re showing their pleasure by buying more vehicles, even in a declining market. 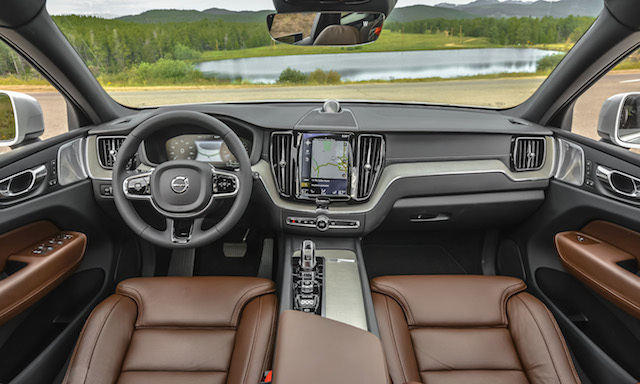 Personally, I believe Volvo has aced both its exterior and interior designs and greatly improved its technologies, including its previously cumbersome Sensus infotainment system. 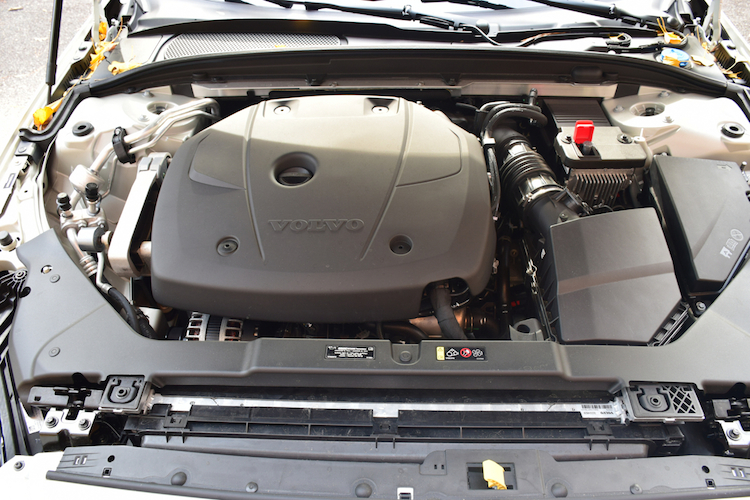 Perhaps the company’s weakest point is its powertrain offerings with customers given a choice of one or two forced induction systems along with available hybrid engineering. If you want a naturally aspirated V6 or V8, or a turbo-diesel engine, you won’t find them. 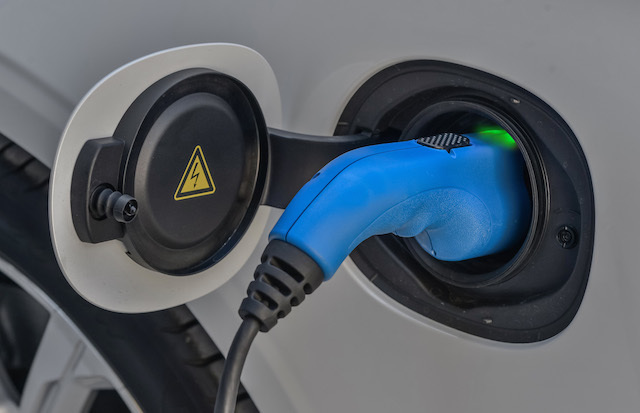 Instead, Volvo is hinging its future on electrification with both hybrid and pure electric models playing significant roles in all Volvo products from 2019 on. Photos courtesy of Volvo Cars.